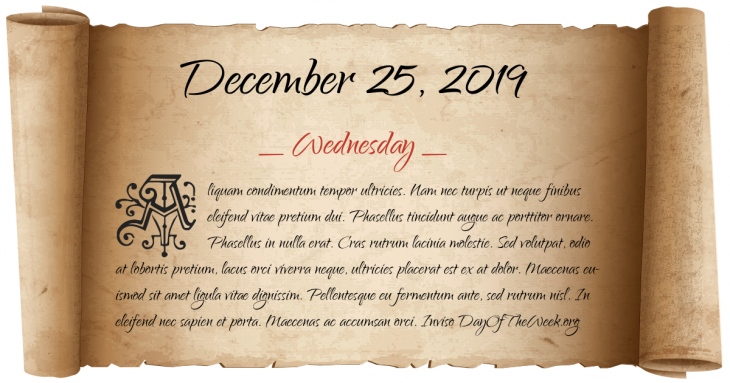 What Day Of The Week Is December 25? William the Conqueror is crowned king of England, at Westminster Abbey, London. Battle of Tucapel: Mapuche rebels under Lautaro defeat the Spanish conquistadors and executes the governor of Chile, Pedro de Valdivia. Christmas Island found and named by Captain William Mynors of the East India Company vessel, the Royal Mary. Apollo program: Apollo 8 performs the very first successful Trans Earth Injection (TEI) maneuver, sending the crew and spacecraft on a trajectory back to Earth from Lunar orbit. A tiger at the San Francisco Zoo escapes from its enclosure and attacks three people, killing one. Who were born on December 25?